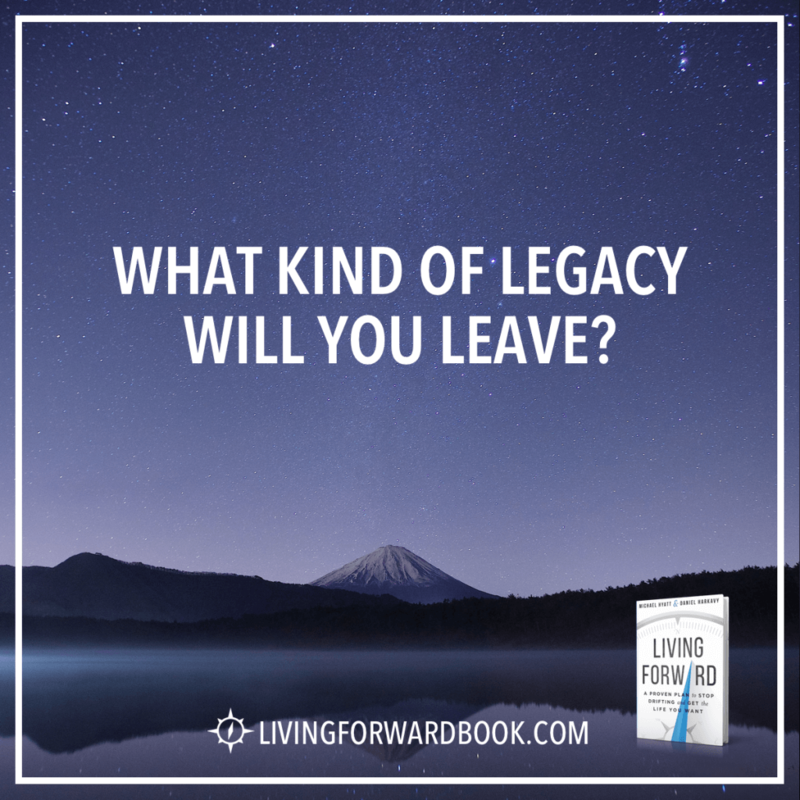 I have been working through the book Living Forward: A Proven Plan to Stop Drifting and Get the Life You Want by Michael Hyatt and Daniel Harkavy. Lately I have felt a little trapped in my current job and needed a way to figure out my new direction. In chapter 4, the authors encourage us to write our own eulogy. (A eulogy is defined as a speech or piece of writing that praises someone or something highly, typically someone who has just died.) At first, the idea of writing my own eulogy was a little creepy. But then I realized it was important to me how I will be remembered when I’m gone. So, I procrastinated for a few days, but I finally did it. I wrote what I wanted each group to remember about me if I died tomorrow. Then I compiled it all together into a eulogy. I will use this eulogy to help determine what is important to me and what my goals for the future should be. Teressa was known as a tenderhearted woman whose mission in life was to help others change their lives for the positive. Her husband and her family were the most important relationships in her life (after God) and she tried to spend as much time as possible encouraging, supporting and enjoying her time with them. Teressa was honest, sometimes to a fault, and brave. One thing she learned later on was how important it was to take care of herself, in order to be able to take care of others. She always encouraged others to take care of themselves and speak up for themselves. In addition, she taught people to stand on their own two feet. Her philosophy was to support and encourage, but not to do for someone what they were capable of doing for themselves. After many years as a homeschooling mom and accounting professional, Teressa left the corporate sector to pursue her dream of being a life coach and author. Those who read her books, participated in her coaching sessions and followed her on social media were positively impacted by what she had to say and how willing she was to listen without judging. This is what I would like my life to be. Obviously, I have a ways to go to get there. I will continue working through Living Forward and I hope you will follow along with me!! Yes,it was somewhat creepy to read your eulogy written by YOU.However,I have written my obituary,so I see your direction.I think you nailed it perfectly.The only thing I would add is the fact that you have no idea how beautiful you are.Each special personality trait you have reminds me of someone I love.You have honed these traits to fit in with you preception of who you are.I am so very proud to be your Mom. Thank you so much, Mom!! That was so sweet!! Love you! !